If you’re anything like me, every time you make eggs, they’re scrambled eggs. No matter how gently I flip the egg, the yolk breaks. No matter how I try to keep it in that perfect little circle, some of it starts to migrate across the pan. This makes it hard to have a nice breakfast sandwich featuring the noble egg, but I have found an easy way to get a little help. If you do a lot of canning or preserving (or are the recipient of jars of preserves and pickles, you probably have a few rings lying around. They can be re-used even on previously sealed jars (with a new lid), so there’s no need to ever throw them away. And look at how perfectly they keep the eggs in shape! I used a ring from a 10-ounce, wide mouth mason jar, which is almost exactly the diameter of your standard English muffin or bagel, and fits all of a “large” egg. After you let the egg cook for a minute or so on medium low heat, you can remove the ring and the egg will keep its shape. Add some salt and pepper and flip it over gently. Lovely. Then add it to your favorite bagel, muffin or toast, and I like to add cheese, some lunchmeat and a slice of avocado or something. It’s an easy and extremely fast way to make a good breakfast — 5 minutes from start to finish. McDonald’s can’t compete with that, and when you make your own, you know exactly how much grease and salt goes into your breakfast. 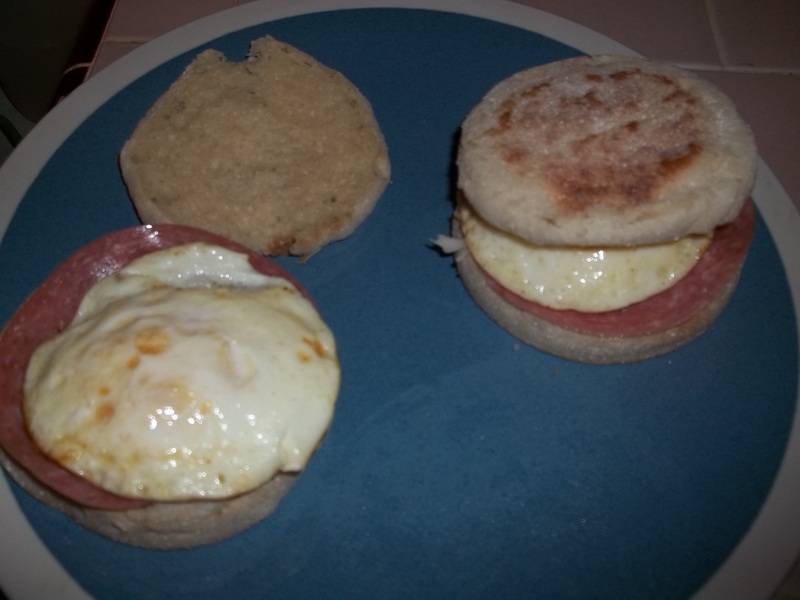 This entry was posted in cooking, food, Uncategorized and tagged breakfast sandwich, easy breakfast, easy english muffin sandwich, eggs, how to help eggs keep their shape, time-saving tips, using jars. Bookmark the permalink. Wow, great idea! This will make some beautiful Eggs Benedict for thoses special breakfasts! Brilliant! What a great way to contain the egg whites. I will be using this technique for my sunny side up eggs. Thanks for sharing. Once again, someone with eyes points out the bleeding obvious to me. THANKS! Then you can use them to cut out biscuits! 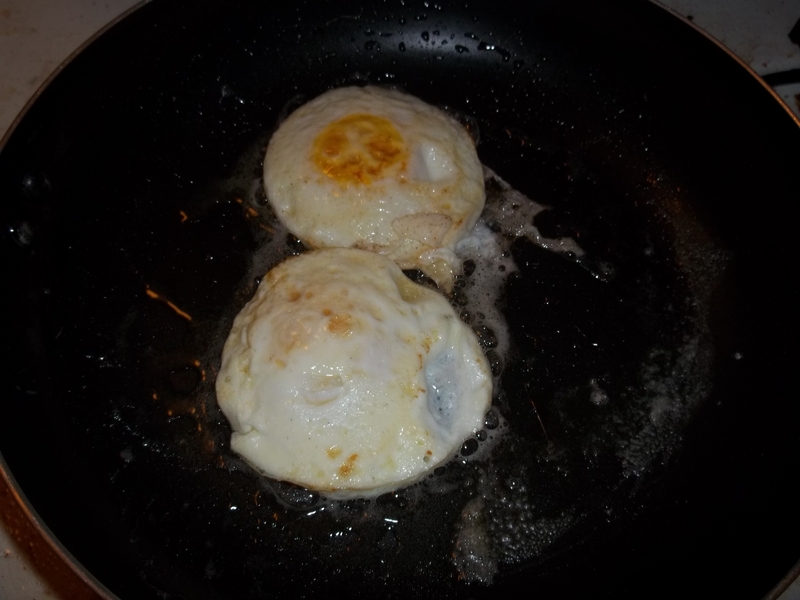 If you don’t like browned edges on your eggs, then just add a shot of hot water in the pan, cover, and steam the egg in your “egg ring”. You’ll end up with a perfectly round “poached” egg! PS: I use a real egg ring. 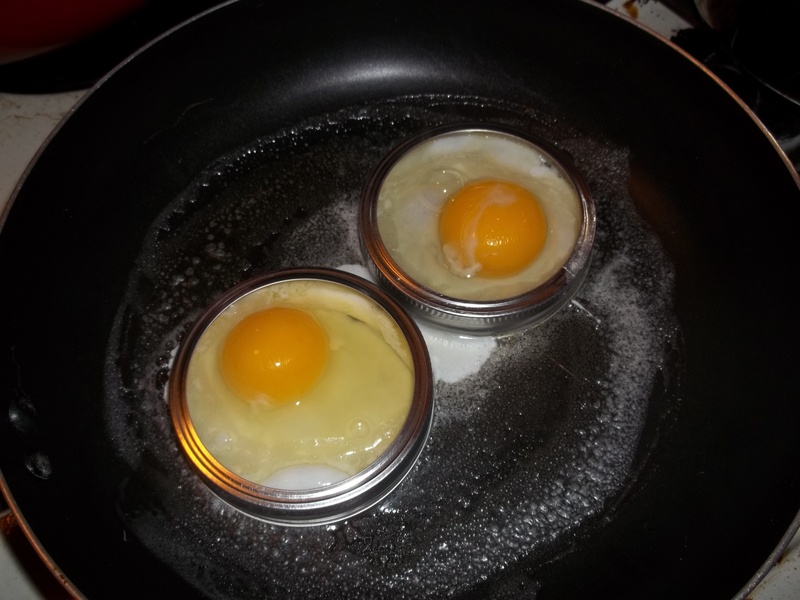 PPS: Use real butter, NOT vegetable spray, to coat your egg ring or mason jar ring. Yeah, if you use the same rings to cut your biscuit dough or shape your home-made English muffins (http://www.dishingthedivine.com/2011/07/17/just-like-thomas-english-muffins/), your entire breakfast sandwich will be a perfect fit. Brilliant! To make them like McyD’s, make sure to break the yolks right away. If you can, cover the skillet with a lid to trap the moisture so the tops cook without you needing to flip them. Also, add a few tablespoons of water as they cook to help maintain the steam factor (this is how they do it at McyD’s, trust me). i just had this idea and googled it to see if anyone else had tried it. glad to see it works! Outstanding! I was going to buy egg rings , but I have dozens of mason jar lids. Brilliant ! I’ve tried it all and the egg just runs under the ring into the pan.